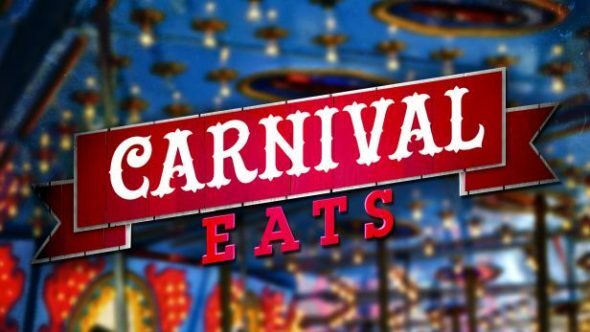 The 2018 Saint Paul Winter Carnival is excited to be featured in the season finale of Carnival Eats! Set your DVR so you don’t miss this fun episode showcasing some great eats from the 2018 event. “A-Frying in Winter” – SEASON FINALE! Noah Cappe chills out with some cool Twin City treats at the Saint Paul Winter Carnival. Despite sub-zero temperatures, he gets into the spirit with local specialties like the Nordic Waffle Pizza and the super-indulgent Biergarten Cupcake. Then Noah heads to the San Bernardino County Fair in Victorville, Calif., for some rays and eats like Lil’ Corn Cakes and an ooey-gooey S’Mores Chimney Stack. Online, watch videos about the behind-the-scenes antics from the show. Join the conversation with #IdFryThat.